Everybody has different taste and not everybody has the same budget, that’s why we give you a choice of packages to choose from and the ability to make any changes you wish in order to meet your needs. There’s a number of locations around the island available for your wedding. 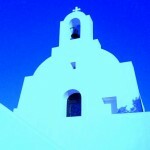 Whether u prefer the Bourtzi peninsula, a number of remote chapels overlooking the Aegean or on the island of Tsougria. We offer different services according to each couple’s needs, whether you will require help with the documents or not, it’s always good to get a heads up on what paperwork is required. Wedding abroad sound like too much of a hassle to organize? There’s no need to worry, we’re always available to answer any questions you may have regarding everything from wedding venues to accomodation and transportation. Here’s a summary of some of the most frequently asked questions.